April 28, 2009 - Adrian, Michigan: Racing Season Begins! It has been a very long off season for Team MatherMotorsport. This season is going to begin a bit differently than years past. 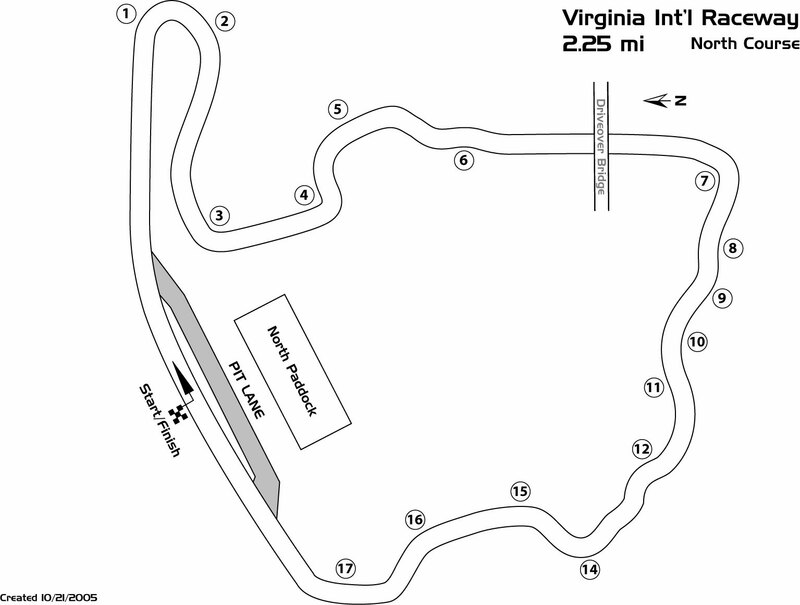 The weekend of May 2nd, Phil Mather and Team MatherMotorsport will be competing with the prestigious Skip Barber Racing School at Virginia International Raceway (www.VIRClub.com). There are many reasons for taking this new challenge. All of the school's racecars are equalized by the instructors, so the race is a true test of a driver's skill and not of the vehicle. Also, Mather will receive professional coaching and feedback throughout the weekend. This will help improve his racecraft and driving skills. Changes were also made to the Team MatherMotorsport SpecMiata as well. Much of the winter was spent updating the racecar for the new rules. This year the 1.6 liter engined SpecMiatas minimum weight was dropped to 2285 pounds with the driver. The racecar went on a strict diet and was able to drop the necessary weight to meet these new rules. Also, there were some suspension updates to help improve handling, and new Toyo R888 tires are now required as well. Phil Mather has also been back to the gym getting himself tuned up and prepared for the tough racing season ahead. Look for an update next week with the results of this weekend's race and events! May 3, 2009 -Danville, Virginia: A Successful Start to the Racing Season! The first weekend of May began the racing season for Phil Mather and Team Mather Motorsport at the world famous motorsports resort Virginia International Raceway. Phil was not racing his usual SpecMiata, however. A new challenge presented itself and Mather had to take the chance. That challenge was the Skip Barber Racing School Mazdaspeed Challenge. The Mazdaspeed Challenge is a racing series run by the Skip Barber Racing School. All cars are equalized many times throughout the weekend by the school's instructors ensuring equal performance in all of the Mazda MX-5 racecars. This makes the racing series a true test of driver's skill and not the racecar. The weekend began on Thursday with a lapping session to get used to the racecars and the track. 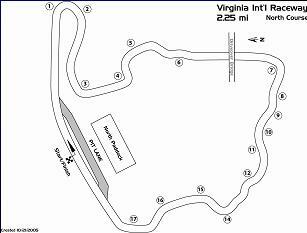 Mather had never driven an MX-5 before and also had never been to VIR's 2.25, 17+ turn racetrack. Friday was a practice day held under race conditions. Mather was strong right away turning lap times just slightly slower than the instructors, and was already one of the fastest drivers. The third place finish placed Mather in the third starting position for Sunday's race. Mather again got an incredible start, passing everybody in front of him with two wheels in the grass headed to turn one. He captured the lead by turn two and held it for the first two laps. He was battling with the top two positions for several laps. Just ahead the first two racers were battling, and one went four wheels off in the dirt. Mather then was back in second place and right on the back bumper of the leader. For the rest of the 15 lap race, Mather was only a couple of car lengths away from the lead, but gaining slowly. At the end of the race, he finished in second position, only one second behind the leader, but over seven seconds ahead of third place. He missed the fastest lap of the race by only 0.05 seconds. At the awards ceremony, Mather not only collected the third and second place trophy's, but also the Rookie of the Race Award!